The section of the Chiltern Way from Northend to Ibstone crosses a lovely valley. I walked this on a week day when there were only a handful of other walkers around - handy for scale in this photograph! 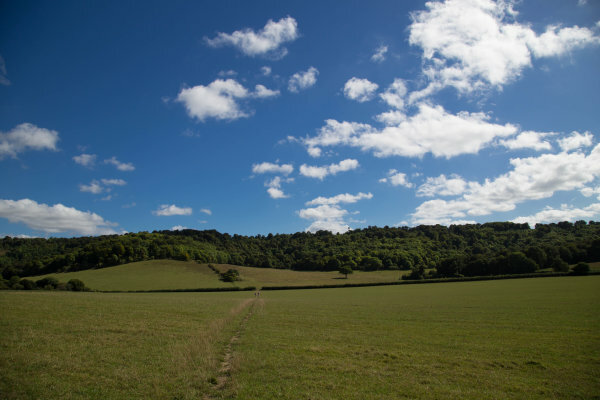 When you emerge from the woods near the Wormsley estate there is a wonderful sense of space. I enjoyed the late summer sun and cooling breeze and the tapestry of greens of the woods ahead. Red kites were wheeling and calling. It is a privilege to live in such a beautiful area!